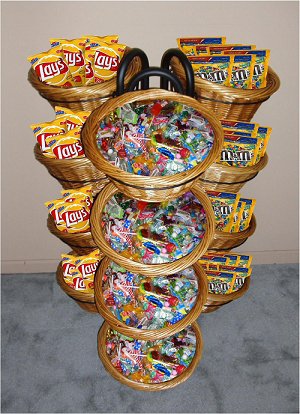 This 12 Basket Wicker Triangle Base Display brings a fun way to organize and promote your products. 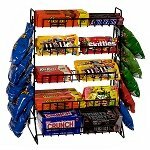 Store snacks, candy, craft items, and more on this dynamic basket retail system. 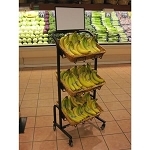 Modern matte black base melds with twelve naturally appealing round baskets to create a gorgeous retail display that will boost your sales. Wicker baskets add a natural feel and look to any environment. A wonderful addition to high traffic areas in your shop to really showcase any products that are new, on sale or are top sellers. 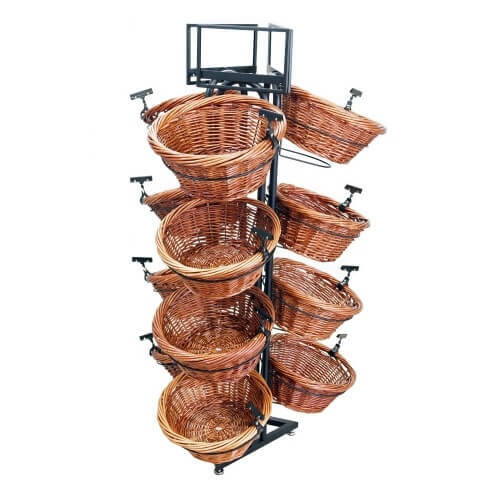 Increase your sales and add to your decor with this basket display. Order your freestanding floor fixture now and save!